For the uninitiated, kindness and rugby don’t seem like they’d be able to coexist. The uninitiated would be wrong. Or, at least, they don’t know rugby as it's played by the Dublin Youth Rugby League. 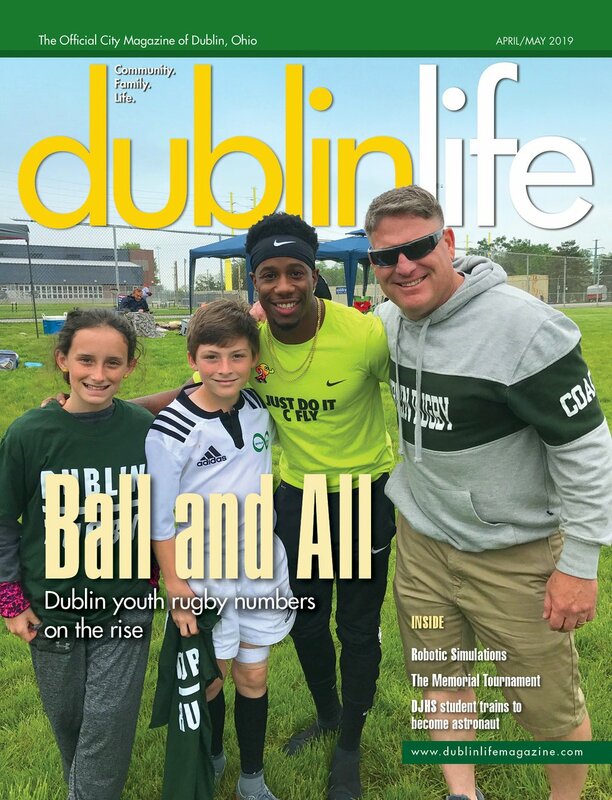 When Chris Northup founded the league in 2016, he wanted to bring the sport he loved and grew up playing to the kids of Dublin. Throughout his youth, Northup played rugby. After finishing a long semi-professional career in the sport, he decided he wanted to bring it back to his hometown. The Dublin Youth Rugby League has doubled in numbers each year, even though the only advertising the league has done has been through an email sent out once a year through the Dublin Football League, a closed Facebook group and by word of mouth. So what makes the league so successful? Despite the aggressive nature of the sport, Northup and fellow coaches in the league make sure practices and training drills are structured. To mitigate the risk of injury, most of the rugby season is spent playing two-hand-touch or flag versions of the game, without full-contact tackling. During practices, the players will drill a special type of rugby tackling, which helps protect the head and prevent any serious injury. Only when kids have mastered the safer version of tackling are they allowed to play full-contact. The league also has co-ed teams and coaches, cheap registration fees to make the sport available for all families, and different levels of play for all levels of athleticism. Since starting the team, Northup, his fellow coaches and the players have tried to expand the league to as many different people as possible. Most recently, they’re working on getting together a team for people with physical disabilities who want to try rugby. “At dinner my own kids pointed out that we didn’t have anything for players with physical disabilities and I was like, ‘Oh my God, you’re right,’” Northup says. So, beginning in mid- to late-July this year, the Dublin Youth Rugby is starting a wheelchair rugby team for people with physical disabilities.